You’re hybrid car isn’t “green” and isn’t doing enough good. Transportation is useful and often necessary. However it is also very carbon intensive, especially in the US. In 2012, the transportation sector (cars, trucks, planes, etc.) was responsible for 28% of the total US’ GHG emissions. However as this EPA report points out, this number comes from a limited analysis. Transport really means you need a vehicle, fuel, and infrastructure (eg. roads, parking lots). 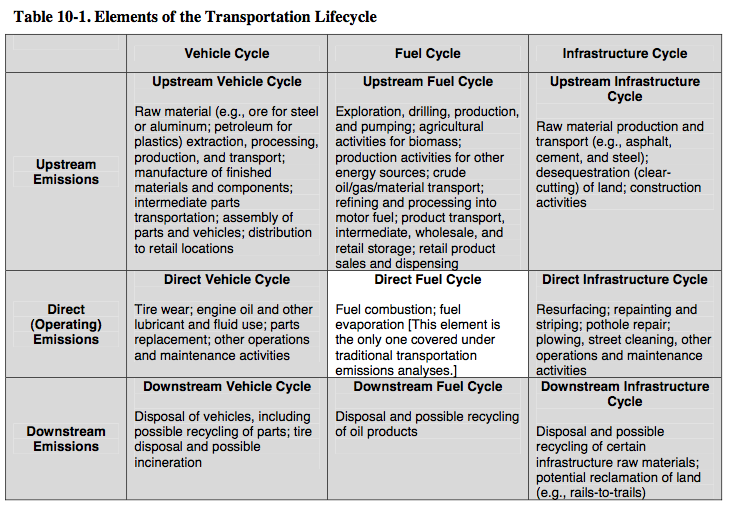 Furthermore a full life cycle analysis includes upstream impacts (eg. what it took to manufacture a truck), direct impacts (eg. having pavement get worn down), and downstream impacts (eg. disposal of waste). Therefore the 28% figure refers to only one square (unshaded below) of the nine involved in transportation. The report did address the 4 top left boxes in chapter 10. 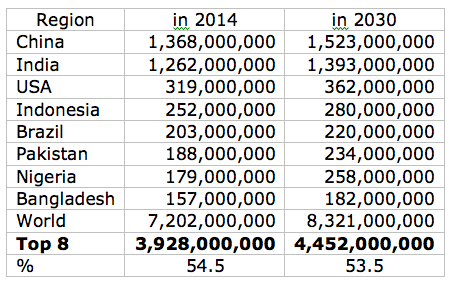 By accounting for these emissions, the emissions impact of transportation increased by a third. That means transportation is responsible for at least 37% of total US emissions (that’s more than the entire electricity sector with all its coal-burning). But what about the other five squares? The study ignores the carbon emissions associated with paving thousands of miles of roads and parking lots and building bridges. It also ignores some foreign impacts. So even though Americans are demanding cars and fuel from overseas, those production emissions are often attributed to other countries. As I’ve discussed before, switching to renewables for transportation is very challenging. The most obvious reason is that fuels like gasoline are incredibly useful, but hard to substitute. The other reasons are clear once you consider the entire transportation system of vehicle, fuel, and infrastructure. All three are only cheap because fossil fuels have been so abundant. The best way forward seems to be to not use fuel and not use personal vehicles. Cities should be developed to encourage walking and biking. When trips are longer, we should use the cleaner electricity generated by renewables directly. Not with plug-in cars, but with city transit, freight trains, and high-speed passenger trains. We ultimately need to build societies that don’t need thousands of miles of highways or 2000-pound metal shells for each person. Are CAFE standards really working? The fleet’s mileage per gallon increased from 23.6 mpg in 2012 to 24.1 mpg in 2013. By 2025 CAFE standards dictate that vehicles get 54.5 mpg. In the first statistic, both passenger cars and light trucks (including vans, pickups, and SUVs) are included. The second statistic matches only the passenger car CAFE standard. For passenger cars in 2012 and 2013, fuel efficiency was 27 mpg and 27.3 mpg. Furthermore, this is the measured fuel efficiency. The CAFE standards for those years were 32.8 and 33.6 mpg for passenger cars. How does the claim that “the auto industry beat standards” make any sense? It turns out that the EPA expects real conditions to be 25% worse than their testing conditions (see the footnote in this figure). Futhermore, automakers have other ways to meet the standards than actually decreasing tailpipe emissions. One credit is given for a car having flex-fuel capability even if the buyer only uses fossil fuel. When consumers do use high ethanol blends, they can expect lower fuel efficiency. Automakers can also get credit for over-compliance in one year and apply it to another year. These and other credits are intended to allow flexibility for companies to comply, but seems to allow automakers too much leeway. The article also suggests that projected CAFE standards from 2012 to 2025 will save 12 billion barrels of oil, $8000 for each driver, and prevent 6 billion tonnes of GHG emissions. However, there is no context. The US uses 7 billion barrels of oil each year. That means the standards will save us 1.7 years of oil consumption. This seems pretty good, but remember that these calculations are already taking into account the expansion of hybrid and electric vehicles. $8,000 for each driver is an estimate. It’s based on the oil saved, but the price of oil can change. Not only that, but the CAFE standards will indirectly change the price of vehicles. And if it is ultimately cheaper to drive, more people will be able to afford to drive (if not in the US, car ownership seems likely to increase in other countries). US emissions are about 6 billion tons of GHGs each year, so the standards will save us a year’s worth of emissions. Not bad, but again not nearly enough since transportation in the US over that time period will still amount to nearly 16 billion tons of emissions. These solutions are less likely to become public policy, but more necessary to reduce emissions. There is huge potential in carpooling. Since the actual goal (energy-wise) of a vehicle is to transport people, having two people in your car for every trip essentially doubles your real fuel efficiency. Car sharing also has the potential to reduce costs. Since fewer cars are needed, manufacturer footprints will decrease. Combined with carpooling could provide a more flexible option to public transportation. Public transportation itself is useful, but truly effective only if an area is densely populated. Luckily, many of the world’s people are migrating to cities. This will allow walking, biking, and public transport to displace private vehicles. Driving, especially in the US, ultimately has to be made more expensive. Low-income assistance might be necessary, but there is huge potential in reduction of emissions. As fuel or car fees become more expensive over time, people will adopt the solutions above that best fit their situation and lead us to more sustainable lifestyles. Climate change is an issue that affects all people and all places. To mitigate the worst effects, humans need to completely stop combustion of fossil fuels. To explore the likelihood of this scenario, let’s look at tobacco use in the good ol’ U.S. of A. Tobacco use is prevalent in the US. 18.1% of adults are current smokers and 23.3% of high school students currently use tobacco. That means at least 14.3% of the entire US population uses tobacco products. Tobacco use has no benefits that aren’t canceled out by its risks. We’ve known this since at least 1957. And this is a problem that affects everyone. That means we’ve had 57 years to reduce tobacco usage rates to reduce collective costs. 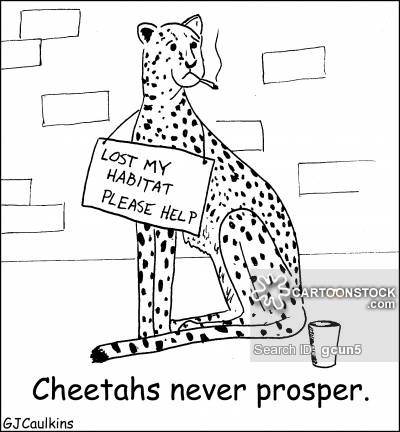 But 14% of the population still consumes tobacco products. 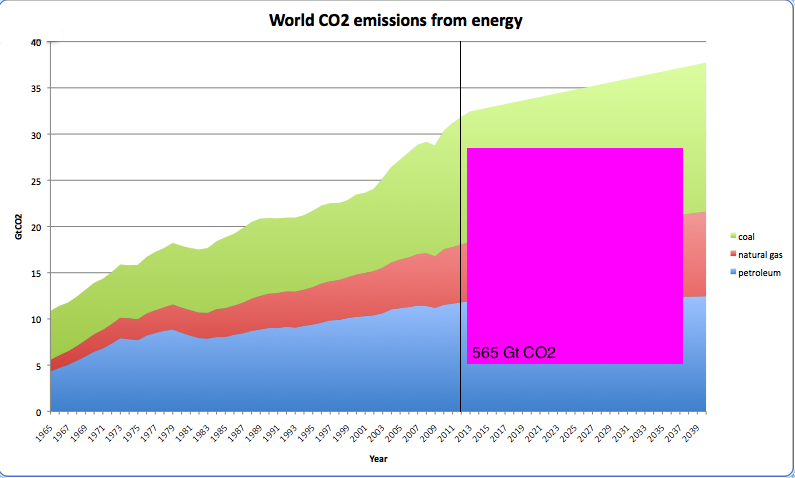 Now, imagine that the US made a commitment to reduce our greenhouse gas emissions. Keep in mind that burning fossil fuels has obvious benefits; they can be used for something as fundamental as heating your home. How many people would ignore the advice and commitments of our government to reduce emissions? I would bet a lot of money it won’t be less than our proportion of tobacco users; a product that has no benefits. Of course, this scenario is more plausible as a comparison between nations since each nation will approach reductions differently. If 14.3% of current world emissions are still emitted by CO2 “cheaters”, nearly 5,000,000,000 tons of CO2 will be emitted every year. That’s on the order of 1,000 pounds for every person every year. This is an additional reason that we need to develop plans that draw CO2 out of the atmosphere. Most projections include many years (later in the century) of negative carbon emissions in order to allow economic growth to continue now. In future plans, we need to consider that many countries may “cheat” by continuing to use fossil fuels even after most countries have reduced their emissions to near zero. 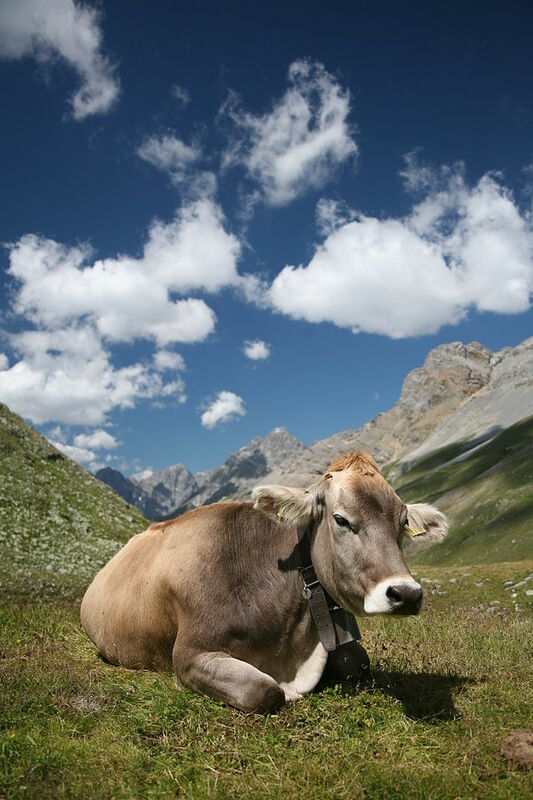 Livestock is responsible for 15% of civilization’s greenhouse gas (GHG) emissions. 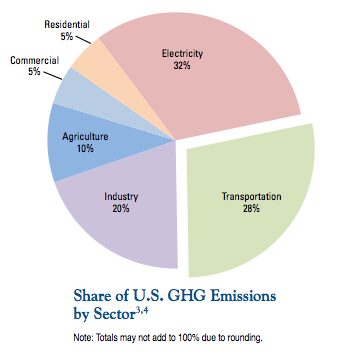 Cattle is responsible for 2/3 of these emissions (10% of all GHGs). There are several reasons this is the case. Cows are ruminants which means that their digestive system is set up so that they emit large amounts of methane (a more potent GHG than CO2). Furthermore, as people around the world demand more meat, forests and other land is often converted to pasture land releasing large amounts of CO2. Manure emits even more GHGs and then fossil fuels are used getting the meat to market. 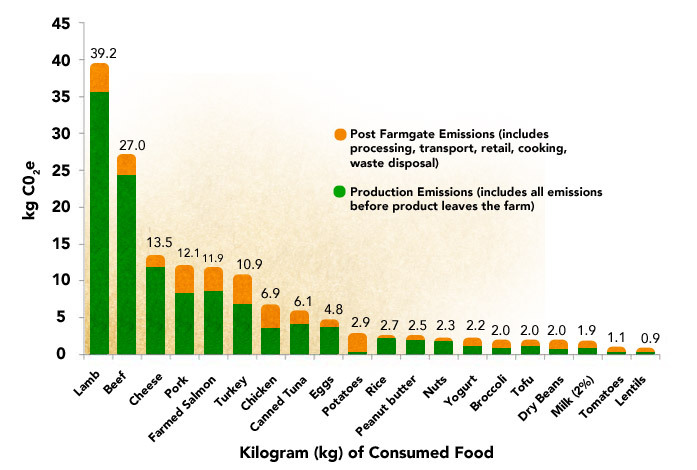 Beef is also one of the most CO2 intensive foods. 27 pounds of CO2 is emitted for every 1 pound of beef; chicken on the other hand emits 7 pounds CO2 per 1 pound of meat. Next time you eat a 1/2 pound all-beef burger, imagine a 15 pound barbell. That’s only a part of the waste you’ve generated. One group looked at the impact of different diets in the US. They found that removing only beef from the average person’s diet resulted in 24% fewer food-related GHG emissions. Going vegetarian is a small step better with a 32% reduction. Americans already eat more than 3 pounds of meat each week. A Harvard study suggests that there are health benefits to eliminating red meat from your diet. There would be further health benefits as fewer antibiotics are used on livestock reducing our susceptibility to antibiotic-resistant bacteria. The bottom line is that making small changes to your diet can lead to environmental and health benefits for everyone. I hope you join me in eliminating beef from your diet. If you can commit to not eating other animals either, even more power to you! Looking at the trends, it’s obvious that energy demand is growing. More people are demanding more energy for more affluent lifestyles. 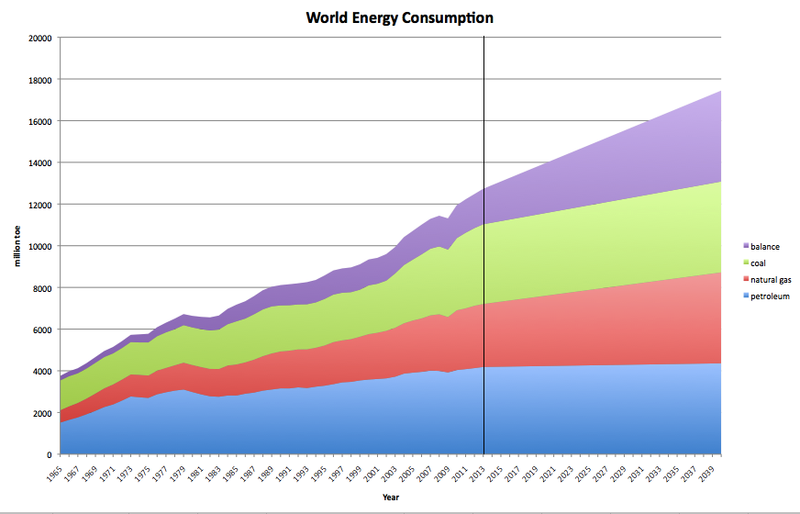 Our current energy mix is detailed by BP in their annual Statistical Review of World Energy. They have data going from 1965 to 2013. I’ve plotted the share of coal, oil, and natural gas in the world energy mix. The International Energy Agency produces the World Energy Outlook each year. In their best guess as to where we’re headed with current policies, they suggest that overall energy demand will grow 37% by 2040 and that the mix of resources will be roughly equal parts low-carbon, coal, oil, and natural gas. I’ve included these projections to the plot above. Low-carbon sources experience the greatest growth which is good news. But the report also suggests that each fossil fuel will also experience growth out to the year 2040. When burning fossil fuels you release heat. For the same amount of heat, you get different amounts of carbon emissions depending on the fuel. 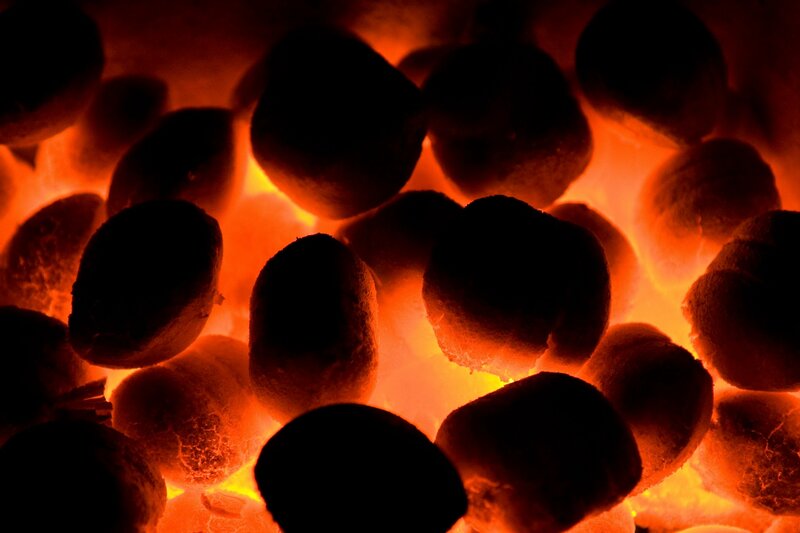 Coal releases about twice the carbon dioxide as natural gas, and petroleum is somewhere in between. 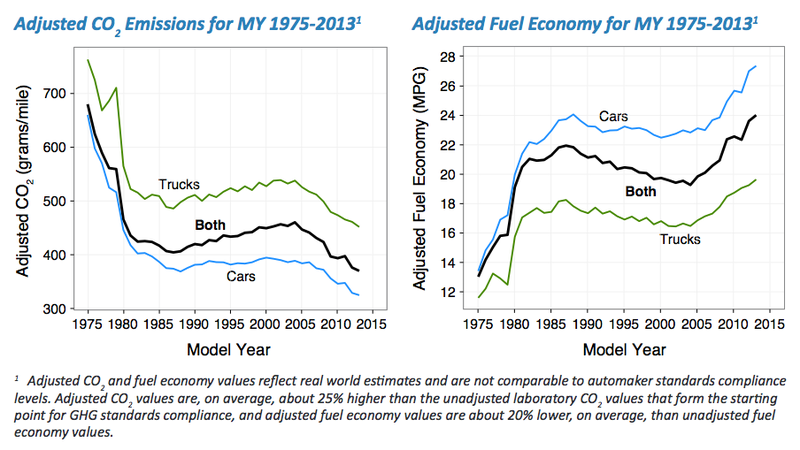 So in most models, energy has corresponding emissions. This ignores other important sources of greenhouse gases. For instance, land use change from forests to agriculture can add a further burden to the atmosphere. Also, raising livestock and cultivating rice can emit methane which is even more potent than carbon dioxide. Even poorly regulated natural gas mining could cancel the emissions-benefit natural gas has over coal if even a small percentage leaks from pipeline infrastructure. You can see that natural gas is less of a burden than coal, but that total emissions continue to grow because use of each fossil fuel is growing. I’ve added an area that represents the amount of emissions that Bill McKibben in his Rolling Stone article cites as the maximum amount (565 gigatons CO2) we can release to have an 80% chance at limiting warming to 2 degrees C. With a lower probability of limiting warming the IEA suggests that we can burn 1000 gigatons CO2, but this scenario still burns 95% (949 gigatons CO2) of that amount by 2040. It seems unlikely that our emissions would suddenly plummet to near-zero in 2041. If you want to do something about it, join an activist branch of a group like 350.org or consider donating to grassroots efforts like Climate Summer, a program that trains students to become leaders and organizers in the climate justice movement. The biggest first step to reducing greenhouse gas emissions is for the US government to implement a carbon fee for all fossil fuels at the source of production. 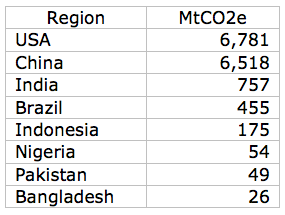 The US has the highest cumulative emissions per person of the world. That means that Americans have benefited the most from burning fossil fuels and that we must lead in the effort to reduce emissions. It should be obvious that companies shouldn’t be able to dump waste for free in a shared resource like our air. Fees or taxes are generally used by governments to discourage a behavior (eg. smoking). A carbon fee would be charged for producing fossil fuels. That means that mining coal, drilling for oil, or fracking for natural gas would cost more. The companies would pass these costs on to consumers, who would have to pay more for electricity and gasoline. But the concept of supply and demand shows that consumers would find ways to use less as costs increase. Some of these ways are sure to include increased demand for more energy efficient appliances, offices, and homes. American companies would be the first to develop top technology that could then be exported to other countries. That means that action in the US has ripple effects that include reduced fossil fuel consumption worldwide and a stronger manufacturing sector in the US. Where does all that revenue go? 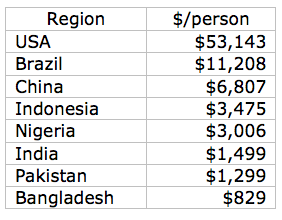 There are many ideas for where to put the money raised by a carbon fee. Some ideas include investment in carbon-free technology or student-loan debt relief. But maybe the fairest solution is to reduce everyone’s income tax. This would have to be done carefully to not overburden the poor who pay a higher percentage of their income towards energy and food. Done correctly, no one would pay more than they did before the fee was implemented. There would be losers. Companies that are valued for the reserves of fossil fuels they promise to produce would see their stocks devalue unless they make a rapid change to innovate for a less carbon-intensive world. But many companies would see benefits as they develop the more efficient products that Americans and people worldwide would demand. Most people wouldn’t see a financial change, but would reap health benefits. Burning fossil fuels, kills nearly 200,000 Americans every year. Even more would avoid health costs due to air pollution. The carbon fee would start low and increase slowly each year. This is a signal for companies to innovate and change their business models. It’s also necessary to eventually achieve zero emissions. Remember as prices increase, people pay more and use less. Tariffs could be used on products and fossil fuels produced in countries without a carbon fee policy. Pretty soon the policy would be adopted worldwide. Otherwise non-adopting countries would face more pressure to reduce emissions and retain manufacturing capabilities as more efficient tech is developed in other countries. Republicans should be able to get behind a measure that reduces income taxes for everyone. Democrats can tout their environmentalist credentials. We hear rhetoric about how the government should not choose winners and losers. But climate change is happening and that means that the laws of nature have shown us that burning fossil fuels is a losing strategy. With a carbon fee there will be new winners and losers, but only companies that fail to innovate will fall by the wayside. That sounds like how capitalism is supposed to work. Please take a minute to let your senators and representatives know that you support the American Opportunity Carbon Fee Act introduced last week. 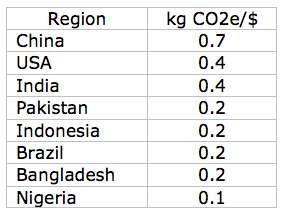 Last week we talked about the major emitters of carbon dioxide (CO2), but why does that matter? We’re talking about climate disruption, but why is CO2 the main indicator and at what level do we have to worry? There are many greenhouse gases in the atmosphere. The two with the biggest impact are water vapor and carbon dioxide. Why do we only talk about carbon dioxide? There is one major difference between the two gases. In the water cycle, water evaporates, then condenses, and falls back to the earth as precipitation. Any extra humans pump into the air falls out as rain within a couple of days. In the carbon cycle some carbon is emitted when vegetation decays, but it’s then re-absorbed by weathering rocks, the oceans, and plants. But humans add extra CO2 faster than it can be reabsorbed. This extra builds up in the atmosphere because it can’t just “rain” out. Before the industrial revolution when we started to burn fossil fuels and deforest large areas, the atmospheric concentration was around 280 parts per million (ppm). Since then, CO2 has built up to nearly 400 ppm (and we’re adding about 2 ppm every year). With more CO2, the atmosphere traps more heat (like adding an extra blanket). We know average surface temperatures have risen about 0.8 degrees C. This is an average, so temperature in places like the Arctic and on land have risen more and places near the equator less. Several years back, many countries got together and agreed to try to limit warming to 2 degrees C. This means that if we can limit the atmospheric concentration to 450 ppm, we’ll have a 50% chance at avoiding “very dangerous” climate change. That doesn’t sound like a very good gamble and we look unlikely to even hit the goal, but it’s been nearly impossible to get countries to agree to anything stricter. So where does 350 come from? 2 degrees C of warming historically corresponds to many meters of sea level rise. This will probably be a slow increase; most estimates are an additional 2 to 3 feet rise by 2100. While not catastrophic to the world this will impose huge costs, cause millions to migrate higher, and could still wipe out low-lying countries and areas. Some scientists, including Jim Hansen, suggest that to stop this sea-level rise, we need to reduce the concentration to 350 ppm. This is how 350.org, the green group got its name. In a Rolling Stone article, Bill McKibben made it clear that we’re in trouble. Since CO2 stays up in the atmosphere for hundreds of years, we can’t simply say that ppm CO2 will start decreasing once we stop emitting. It matters how fast we stop emissions. And fossil fuel companies currently claim to have five times as much fuel as we can burn before reaching 450 ppm. That means that if world leaders are serious about reaching that goal, then nearly 80% of all fossil fuel stocks are worthless because we will not be able to burn their products. 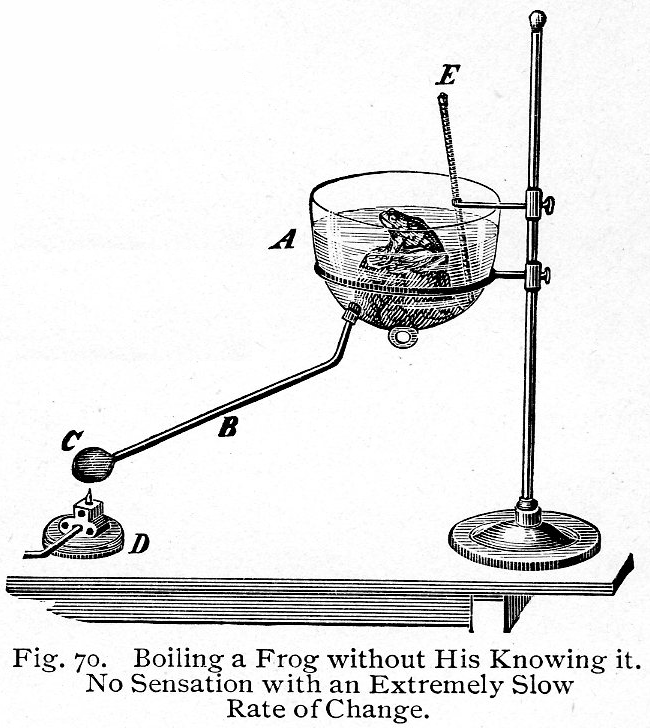 In the last post, we talked about the unit CO2e. This converts other harmful greenhouse gases to a single measure. If we count other GHGs like methane and nitrous oxides, we’re already near 480 ppm CO2e. FML, what can I do? If you have an hour to explore these ideas further, check out climate scientist Dr. Kevin Anderson’s presentation about our current predicament. Then, I recommend you DO SOMETHING. We ultimately need government-level leadership, so start demanding climate action from your representatives. If you have the skill sets, start organizing for climate action or working on creating better technology solutions. As comparatively wealthy citizens of the planet, I also suggest you try one or more of these personal actions suggested by David McKay. Many of these changes can make a big impact if enough people adopt them. Many can save you money and I can tell you that my quality of life is just as good after making some of these changes. Any more ideas? Post them in the comments.